Essential oils have a long list of benefits for adults and even kids, but don’t forget you can also use them on your pets. You just need to use the right oils and be extra careful with your dogs and cats to ensure you are practicing safety. 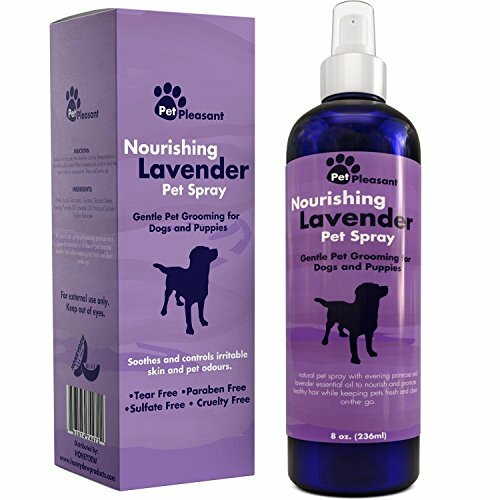 Lavender – This is an amazing oil for relaxing your pets, reducing anxiety in the car, and helping with health issues like allergies and insomnia. Frankincense – Frankincense is often used with dogs who have early signs of cancer, tumors, or stomach ulcers. Cardamom – A holistic vet might recommend using cardamom if your pet is having trouble eating, has nausea or heartburn, or is dealing with a bad cough. Spearmint – Spearmint is great for helping your dog or cat to lose weight, but can also be used for nausea and diarrhea. There are some specific oils that breeds don’t like or might make them ill. For cats, this includes any of the citrus oils. Avoid using citrus like grapefruit, lemon, or orange with your cat, as it could affect their liver and how it detoxes of toxins. Some others that don’t particularly like are oregano, tea tree, birch, cinnamon, clove, wintergreen, and thyme. As with humans, you want to dilute essential oils properly for pets and test a small area of their skin before using them. Ask your vet if you have any questions or concerns about using essential oils on your pets. Only a very small amount should be needed, so don’t add a large amount of drops to their shampoo or rub it on their skin, as it is likely not necessary and might be harmful.